Pupils will have the opportunity to purchase a Poppy from Monday 6th November through to Friday 10thtNovember. 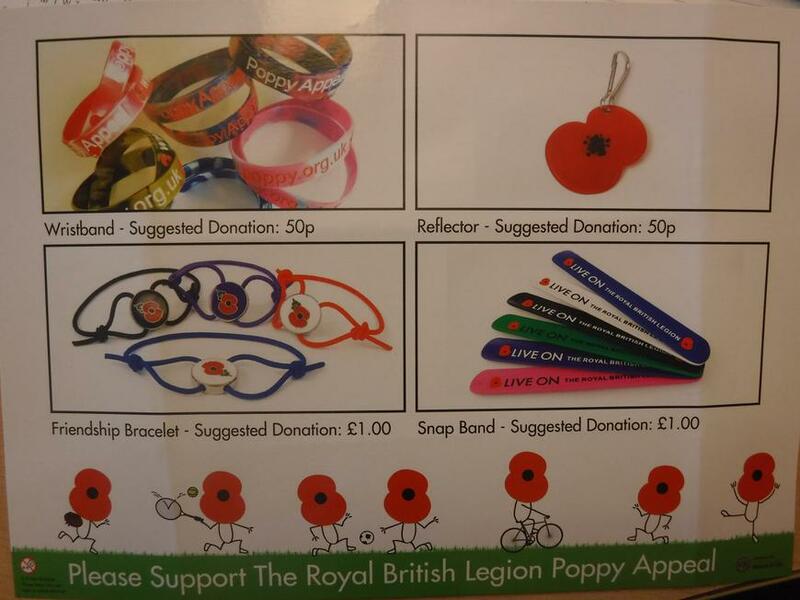 A box with extra Poppy themed items will also be circulated. See below for a photo of the items available to purchase and their prices.